I really love everything about this time of year. I love all the decorations and the music, movies, and the family time. 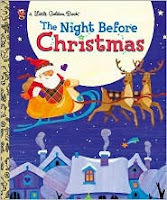 I even love the Christmas books! They really help me get into the season. Here are a list of my favorites to read this time of year! Along with some new ones I can't wait to read. Allison is a beautiful young woman, looking for love but never quite able to find it. And even if she could find it, she fears the dark side of her past might ruin everything. On the other had, Christmas is a time of miracles. . . When Allison decides to stay in Provo rather that go home to Australia for Christmas, she has no way of knowing that this holiday season, her life will be changed forever. Oh, yes, love is in the air . . . but so are lingering doubts and ghosts of past regrets. Will the love Allison finds be strong enough to overcome the secrets of her rebellious youth – or will romance once again slip through her finders as it has so often before? Home for Christmas . . . a tender story that illuminated the power of love and shares the miracle of Christmas. Mark your calendar. It's the Christmas Cookie Club! Every year on the first Monday of December, Marnie and her twelve closest girlfriends gather in the evening with batches of beautifully wrapped homemade cookies. Everyone has to bring a dish, a bottle of wine, and their stories. This year, the stories are especially important. On this evening, at least, they can feel as a group the impulses of sisterly love and conflict, the passion and hopefulness of a new romance, the betrayal and disillusionment some relationships bring, the joys and fears of motherhood, the agony of losing a child, and above all, the love they have for one another. As Marnie says, the Christmas Cookie Club, if it's anything, is a reminder of delight. Twas the night before Christmas, and all through the house... for decades families have gathered together to read Clement C. Moore's eternally enchanting holiday poem. 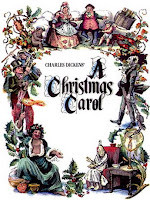 A Christmas Carol is a Victorian morality tale of an old and bitter miser, Ebenezer Scrooge, who undergoes a profound experience of redemption over the course of a Christmas Eve night. If the experience doesn't change Scrooge's ways, he will end up walking the Earth forever being nothing but an invisible and lonely ghost, like his deceased friend Jacob Marley. Mr. Scrooge is a financier/moneychanger who has devoted his life to the accumulation of wealth. He holds anything other than money in contempt, including friendship, love, and the Christmas season. Meg, Jo, Amy and Beth - four "little women" enduring hardships and enjoying adventures in Civil War New England The charming story of the March sisters, Little Women has been adored by generations. Readers have rooted for Laurie in his pursuit of Jo's hand, cried over little Beth's death, and dreamed of traveling through Europe with old Aunt March and Amy. Future writers have found inspiration in Jo's devotion to her writing. In this simple, enthralling tale, both parts of which are included here, Louisa May Alcott has created four of American literature's most beloved women. This is the story of a young girl who came from a totally disfunctional family. She thought she hated Christmas, because her family never celebrated it, and she always felt left out at Christmas time. She met her prince charming and through his loving ways, and the influence of his family, she grew to love Christmas, as well as to love him. Ooh, I'm loving the sound of the Chrsitmas Cookie Club. Thanks Mary. I'm keeping my eyes open for festive titles. I have Christmas Cookie Club out from the library to read the week leading up to Christmas. It looks so cute. I love that you included "A Christmas Carol" and "Little Women." I was just thinking of trying to find a vintage hardcover copy of A Christmas Carol. Can you believe I've never read it? 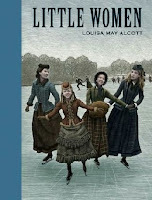 Little Women is one of my favorite books. :-) The Christmas Cookie Club sounds great!